Welcome to the Ickenham aerials website. We are a small family run business based in Ickenham, Middlesex, and we aim to provide an efficient and friendly service to all of our clients, large and small. This site is intended to give you a little bit of information about us, what we do, and how we do it! We like to think that what makes us different is we take pride in our work, we ONLY use good quality materials and we try to go that little bit further to ensure our customers are happy. Please have a good look around our website, and don't forget to call us if you need any help, advice, or would like to arrange a visit from us. We cover most areas including Ickenham, Uxbridge, Ruislip, Eastcote, Pinner, Harrow, Ealing, Northolt, Yeading, Hayes, Southall, West Drayton, Cowley, Iver, Farnham Common, Gerrards Cross, Denham, Harefield, Northwood and more. 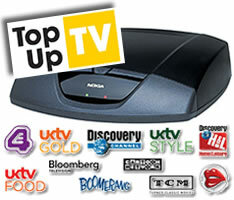 Top Up TV boxes supplied if required.